(a) “Abduction” means the wrongful removal or wrongful retention of a child. (b) “Child” means an unemancipated individual who is less than 18 years of age. (c) “Child-custody determination” means a judgment, decree, or other order of a court providing for the legal custody, physical custody, or visitation with respect to a child. Child custody determination includes a permanent, temporary, initial, or modification order. (d) “Child-custody proceeding” means a proceeding in which legal custody, physical custody, or visitation with respect to a child is at issue. Child-custody proceeding includes a proceeding for divorce, dissolution of marriage, separation, neglect, abuse, dependency, guardianship, paternity, termination of parental rights, or protection from domestic violence. (e) “Court” means an entity authorized under the law of a state to establish, enforce, or modify a child-custody determination. (f) “Domestic violence” means that term as defined in section 1 of 1978 PA 389, MCL 400.1501. (g) “Enhanced driver license” and “enhanced official state personal identification card” mean those terms as defined in section 2 of the enhanced driver license and enhanced official state personal identification card act, 2008 PA 23, MCL 28.302. (h) “Home state” means that term as defined in section 102 of the uniform child-custody jurisdiction and enforcement act, 2001 PA 195, MCL 722.1102. (i) “Petition” includes a motion or its equivalent. (i) An order entered under section 2950 or 2950a of the revised judicature act of 1961, 1961 PA 236, MCL 600.2950 and 600.2950a, under section 6b of chapter V or section 3(2)(o) of chapter XI of the code of criminal procedure, 1927 PA 175, MCL 765.6b and 771.3, under section 13a of chapter XIIA of the probate code of 1939, 1939 PA 288, MCL 712a.13a, or under section 36(16) of the corrections code of 1953, 1953 PA 232, MCL 791.236. (k) “Record” means information that is inscribed on a tangible medium or that is stored in an electronic or other medium and is retrievable in perceivable form. (l) “State” means a state of the United States, the District of Columbia, Puerto Rico, the United States Virgin Islands, or any territory or insular possession subject to the jurisdiction of the United States. 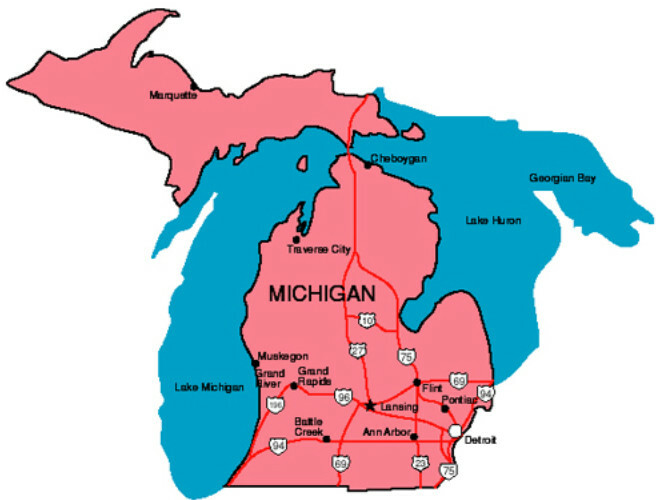 State includes a federally recognized Indian tribe or nation. (m) “Travel document” means records relating to a travel itinerary, including travel tickets, passes, reservations for transportation, or accommodations. Travel document does not include a passport or visa. (n) “Visitation” includes parenting time as that term is used in the support and parenting time enforcement act, 1982 PA 295, MCL 552.601 to 552.650. (o) “Wrongful removal” means the taking of a child that breaches rights of custody or visitation given or recognized under the law of this state. Wrongful removal does not include actions taken to provide for the safety of a party or the child. (p) “Wrongful retention” means the keeping or concealing of a child that breaches rights of custody or visitation given or recognized under the law of this state. Wrongful retention does not include actions taken to provide for the safety of a party or the child. Sec. 3. Sections 110 to 112 of the uniform child-custody jurisdiction and enforcement act, 2001 PA 195, MCL 722.1110 to 722.1112, apply to cooperation and communications among courts in proceedings under this act. Sec. 4. (1) A court on its own motion may order abduction prevention measures in a child-custody proceeding if the court finds that the evidence establishes a credible risk of abduction of the child. (2) A party to a child-custody determination or another individual or entity having a right under the law of this state or any other state to seek a child-custody determination for the child may file a petition seeking abduction prevention measures to protect the child under this act. (3) A prosecutor or the attorney general may seek a warrant to take physical custody of a child under section 9 or other appropriate prevention measures. Sec. 5. (1) A petition under this act may be filed only in a court that has jurisdiction to make a child-custody determination with respect to the child at issue under the uniform child-custody jurisdiction and enforcement act, 2001 PA 195, MCL 722.1101 to 722.1406. (2) A court of this state has temporary emergency jurisdiction under section 204 of the uniform child-custody jurisdiction and enforcement act, 2001 PA 195, MCL 722.1204, if the court finds a credible risk of abduction. (a) The name, date of birth, and gender of the child. (b) The customary address and current physical location of the child. (c) The identity, customary address, and current physical location of the respondent. (d) A statement of whether a prior action to prevent abduction or domestic violence has been filed by a party or other individual or entity having custody of the child, and the date, location, and disposition of the action. (e) A statement of whether a party to the proceeding has been arrested for a crime related to domestic violence, stalking, or child abuse or neglect, and the date, location, and disposition of the case. (f) Information regarding any protection order previously entered involving either party or the child. (g) Any other information required to be submitted to the court for a child-custody determination under section 209 of the uniform child-custody jurisdiction and enforcement act, 2001 PA 195, MCL 722.1209. (a) Previously abducted or attempted to abduct the child. (b) Threatened to abduct the child. (ii) Selling a primary residence. (iv) Closing bank or other financial management accounts, liquidating assets, hiding or destroying financial documents, or conducting any unusual financial activities. (v) Applying for a passport or visa or obtaining travel documents for the respondent, a family member, or the child. (vi) Applying for or obtaining an enhanced driver license or enhanced official state personal identification card for the respondent, a family member, or the child. (vii) Seeking to obtain the child's birth certificate or school or medical records. (d) Engaged in domestic violence, stalking, or child abuse or neglect. (e) Refused to follow a child-custody determination. 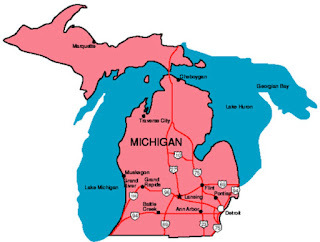 (f) Lacks strong familial, financial, emotional, or cultural ties to this state or the United States. (g) Has strong familial, financial, emotional, or cultural ties to another state or country. (i) The country is not a party to the Hague convention on the civil aspects of international child abduction and does not provide for the extradition of an abducting parent or for the return of an abducted child. (A) The Hague convention on the civil aspects of international child abduction is not in force between the United States and the country. (B) The country is noncompliant according to the most recent compliance report issued by the United States department of state. (C) The country lacks legal mechanisms for immediately and effectively enforcing a return order under the Hague convention on the civil aspects of international child abduction. (iii) The country poses a risk that the child's physical or emotional health or safety would be endangered in the country because of specific circumstances relating to the child or because of human rights violations committed against children. (A) Enable the respondent, without due cause, to prevent the petitioner from contacting the child. (B) Restrict the petitioner from freely traveling to or exiting from the country because of the petitioner's gender, nationality, marital status, or religion. (C) Restrict the child's ability legally to leave the country after the child reaches the age of majority because of the child's gender, nationality, or religion. (v) The country is included by the United States department of state on a current list of state sponsors of terrorism. (vi) The country does not have an official United States diplomatic presence in the country. (vii) The country is engaged in active military action or war, including a civil war, to which the child may be exposed. (i) Is undergoing a change in immigration or citizenship status that would adversely affect the respondent's ability to remain in the United States legally. (j) Has had an application for United States citizenship denied. (k) Has forged or presented misleading or false evidence on government forms or supporting documents to obtain or attempt to obtain a passport, a visa, travel documents, a social security card, a driver license, or other government-issued identification card or has made a misrepresentation to the United States government. (l) Has used multiple names to attempt to mislead or defraud. (m) Has engaged in any other conduct the court considers relevant to the risk of abduction. (2) If the court finds during a hearing on a petition under this act that the respondent's conduct was intended to avoid domestic violence or imminent harm to the child or the respondent, the court shall not issue an abduction prevention order. (a) The basis for the court's exercise of jurisdiction. (b) The manner in which notice and opportunity to be heard were given to the persons entitled to notice of the proceeding. (c) A detailed description of each party's custody and visitation rights and residential arrangements for the child. (d) A provision stating that a violation of the order may subject the party in violation to civil and criminal penalties. (e) Identification of the child's home state or country of habitual residence at the time of the issuance of the order. (2) If, at a hearing on a petition under this act or on the court's own motion, the court after reviewing the evidence finds a credible risk of abduction of the child, the court shall enter an abduction prevention order. The order shall include the provisions required by subsection (1) and measures and conditions, including those in subsections (3) to (5), that are reasonably calculated to prevent abduction of the child, giving due consideration to the custody and visitation rights of the parties and the safety of the parties and the child. The court shall consider the age of the child, the potential harm to the child from an abduction, the legal and practical difficulties of returning the child to the jurisdiction if abducted, and the reasons for the potential abduction, including evidence of domestic violence, stalking, or child abuse or neglect. (ii) A list of physical addresses and telephone numbers at which the child can be reached at specified times. (iii) Copies of all travel documents. (i) Removing the child from this state, the United States, or another geographic area without permission of the court or the petitioner's written consent. (ii) Removing or retaining the child in violation of a child-custody determination. (iii) Removing the child from school or a child care or similar facility. (iv) Approaching the child at any location other than a site designated for supervised visitation. (c) A requirement that a party register the order in another state as a prerequisite to allowing the child to travel to that state. (i) A direction that the petitioner place the child's name in the United States department of state's child passport issuance alert program. (ii) A requirement that the respondent surrender to the court or the petitioner's attorney any United States or foreign passport issued in the child's name, including a passport issued in the name of both the parent and the child. (iii) A requirement that the respondent surrender to the court or the petitioner's attorney his or her enhanced driver license or enhanced official state personal identification card issued in the child's name. (iv) A prohibition on the respondent applying on behalf of the child for a new or replacement passport or visa. (i) To the United States department of state office of children's issues and the relevant foreign consulate or embassy, an authenticated copy of the order detailing passport and travel restrictions for the child. (A) Proof that the respondent has provided the information in subparagraph (i). (B) An acknowledgment in a record from the relevant foreign consulate or embassy that no passport application has been made, or passport issued, on behalf of the child. (iii) To the petitioner, proof of registration with the United States embassy or other United States diplomatic presence in the destination country and with the central authority for the Hague convention on the civil aspects of international child abduction, if that convention is in effect between the United States and the destination country, unless 1 of the parties objects. (iv) A written waiver under 5 USC 552a, popularly known as the privacy act, with respect to any document, application, or other information pertaining to the child authorizing its disclosure to the court and the petitioner. (f) On the petitioner's request, a requirement that the respondent obtain an order from the relevant foreign country containing terms identical to the child-custody determination issued in the United States. (a) Limit visitation or require that visitation with the child by the respondent be supervised until the court finds that supervision is no longer necessary and order the respondent to pay the costs of supervision. (b) Require the respondent to post a bond or provide other security in an amount sufficient to serve as a financial deterrent to abduction, the proceeds of which may be used to pay for the reasonable expenses of recovery of the child, including reasonable attorney fees and costs if there is an abduction. (c) Require the respondent to obtain education on the potentially harmful effects to the child from abduction. (a) Issue a warrant to take physical custody of the child under section 9 or other law of this state. (b) Direct the use of law enforcement to take any action reasonably necessary to locate the child, obtain return of the child, or enforce a custody determination under this act or other law of this state. (c) Grant any other relief allowed under the law of this state. (6) The remedies provided in this act are cumulative and do not affect the availability of other remedies to prevent abduction. Sec. 9. (1) If a petition under this act alleges and the court finds that there is a credible risk that the child is imminently likely to be wrongfully removed, the court may issue an ex parte warrant to take physical custody of the child. (2) The respondent to a petition under subsection (1) shall be afforded an opportunity to be heard at the earliest possible time after the ex parte warrant is executed, but not later than the next judicial day unless a hearing on that date is impossible. If a hearing on the next judicial day is impossible, the court shall hold the hearing on the first judicial day possible. (a) Recite the facts on which a determination of a credible risk of imminent wrongful removal of the child is based. (b) Direct law enforcement officers to take physical custody of the child immediately. (c) State the date and time for the hearing on the petition. (d) Provide for the safe interim placement of the child pending further order of the court. (4) If feasible, before issuing a warrant under this section and before determining the placement of the child after the warrant is executed, the court may order a search of the relevant databases of the national crime information center system and similar state databases to determine if either the petitioner or respondent has a history of domestic violence, stalking, or child abuse or neglect. (5) A petition and warrant under this section shall be served on the respondent when or immediately after the child is taken into physical custody. (6) A warrant to take physical custody of a child, issued by this state or another state, is enforceable throughout this state. If the court finds that a less intrusive remedy will not be effective, it may authorize law enforcement officers to enter private property to take physical custody of the child. If required by exigent circumstances, the court may authorize law enforcement officers to make a forcible entry at any hour. (7) If the court finds, after a hearing, that a petitioner sought an ex parte warrant under subsection (1) for the purpose of harassment or in bad faith, the court may award the respondent reasonable attorney fees, costs, and expenses. (8) This act does not affect the availability of relief allowed under other law of this state. (a) The time stated in the order. (b) The emancipation of the child. (c) The child's attaining 18 years of age. (d) The time the order is modified, revoked, vacated, or superseded by a court with jurisdiction under sections 201 to 203 of the uniform child-custody jurisdiction and enforcement act, 2001 PA 195, MCL 722.1201 to 722.1203, or other applicable law of this state. Sec. 11. In applying and construing this uniform act, a court shall consider the need to promote uniformity of the law with respect to its subject matter among states that enact it. Sec. 12. This act modifies, limits, and supersedes the federal electronic signatures in global and national commerce act, 15 USC 7001 to 7031, but does not modify, limit, or supersede 15 USC 7001(c) or authorize electronic delivery of any of the notices described in 15 USC 7003(b).